A Beautiful Ruckus: The New Ishum Mobile! While I’ve been cooped up here in the hospital, Sean has stayed busy getting things ready for our babies at home. Last week, he found a used mini-van that seemed perfect for our family and picked it up on Wednesday. He got an AWESOME deal on it! Sean bought the van from an incredibly nice Christian family where the wife decided that she didn’t need it anymore. She blue booked the car ahead of time to price it, but her husband is the one who talked to Sean. It is a one owner vehicle that has been meticulously kept since they bought it. The husband even has records of everything that he has ever done to the van! Sean agreed on a price with him and went to pick it up on Wednesday with cash in hand. 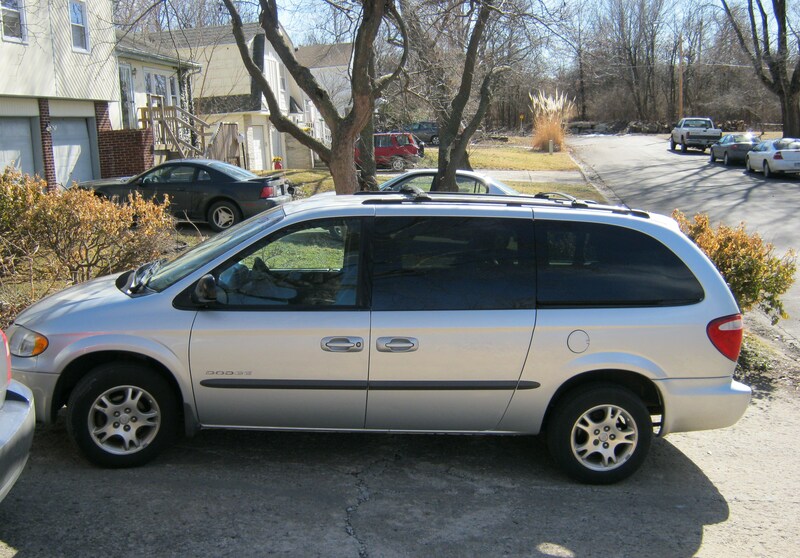 When he got there, the husband told him that his wife had actually used a Plymouth Voyager instead of a Dodge Grand Caravan when she priced it on the Kelly Blue Book site, and they had accidentally priced it at more than $2000 less than what it was worth (I double checked it-it’s true!). Then he told Sean that he would still honor the price they agree on…which means that we got a better mini-van than we could have hoped for right in our price range. And because we have relatives and friends, both known and anonymous to us, who have been very generous to our family over the last few months, we were able to pay cash for the mini-van, inspection, taxes, and licensing and avoid having to take on a car payment. God is so good! Sean and I have been praying that He would provide a good, safe mini-van since we found out that we are expecting quads. Thanks to all of you who have helped us purchase our mini-van by keeping your eyes open, praying with us, and helping us afford it! 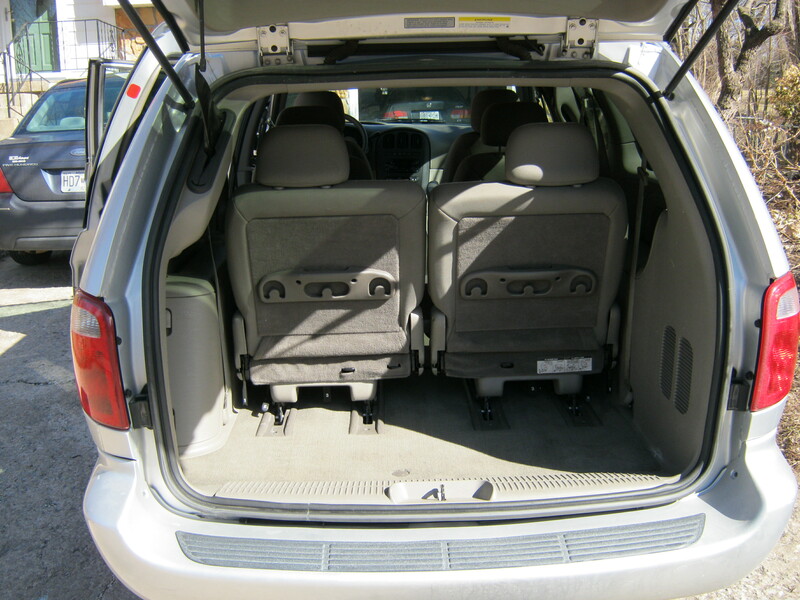 With exactly the set-up we needed: two captain chairs in the middle row for easy access to the back seat, two sliding side doors so that we can put babies in from both sides, and trunk space for two double strollers along with other baby accoutrements! I think I mentioned this before, but they moved me to a different room about five days after I got here because the new Labor and Delivery unit was overflowing with happy moms-to-be. I’m now on the old Labor and Delivery unit which is much older. The shower that I blogged about a couple of weeks ago was on the new unit. The shower in the room that I’m in now is quite a bit smaller and less exciting (but I’m glad I have a shower because not all of the rooms come with one!). The detachable shower wand doubles as the shower head, so it’s important that it is securely reattached to the wall after using it as a wand. Anyhow, Sean stayed overnight at the hospital with me on Saturday, and it was the first time he used the shower on this unit. The last time he showered here was during the blizzard when I was still on the other unit. By this point, I was laughing so hard, the monitors I was hooked up to were bouncing all over the place. The poor nurse who was trying to do the monitoring was doing her best to stay discrete and not wonder aloud with me what in the world my hubby was doing in the bathroom! Nothing beats power doors when you have 2 infant seats in your hands! Congrats! Congrats on the new van - that is AMAZING news! Very cool, guys. If you didn't get the fancy warranty, I know a great mechanic! hehe. The van is amazing. God certainly has all of this beautifully orchestrated - something He remains great at. Praying for you and so happy that the Lord continues to give your babies time to grow safely inside the womb. So proud of you in every way! That story about the shower is hilarious! Made for a great laugh! Congrats on the minivan!! We have that exact one and we love love love love it!! You will love the power doors. I always said I would never own a van, but now I wouldn't want anything else! It serves our family so well. Congrats and enjoy your ride! We like to call ours the Swagga Wagon! Oh, and you totally need to get vanity plates. Something like ISHMQD would be awesome! Congratulations on the babies and the new van! We used to have a Town and Country, same as the grand caravan. A big tip for getting the babies in the third row, pull the seat straps for folding the seats into the back and you can load the babies from the back, instead of climbing in via the middle row. Took me about 6 months to figure that one out, but when we moved to another car, that was a must have option for us. You can see an example from here-http://www.facebook.com/album.php?aid=103825&id=578948211&l=bc0faeaf36 Iwish I had known about this when they were little babies, it would have made things so much easier!